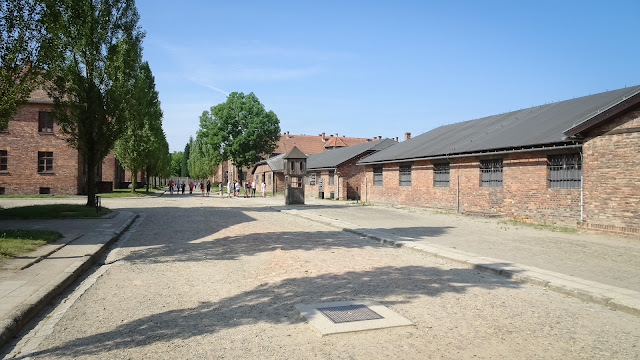 A destination which was on my list since longer, especially because of Auschwitz, but flights somehow did not fit in my schedule. This time it worked out and so first flying to Warsaw and then by train to Krakow (with Auschwitz), and fly back from there. 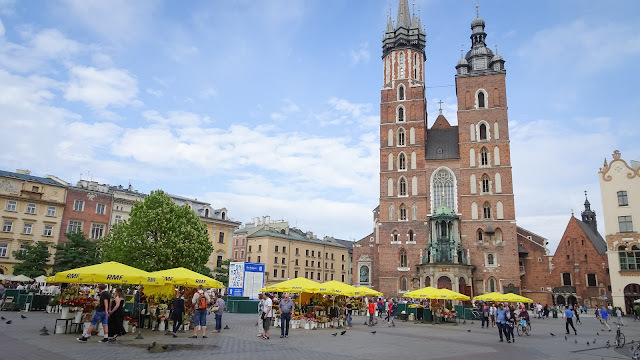 Arrived yesterday in Warsaw and am now already in Krakow :). 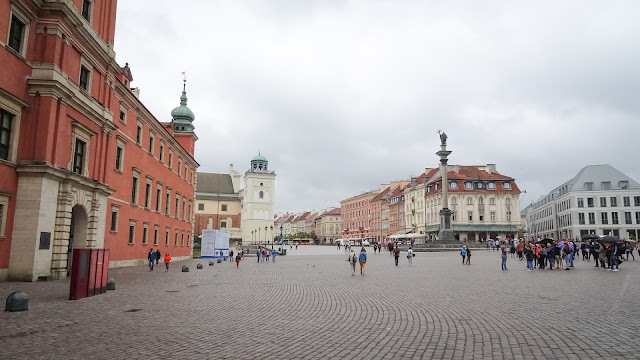 So yes, havent lot of time to visit Warsaw but at least one afternoon and a morning. 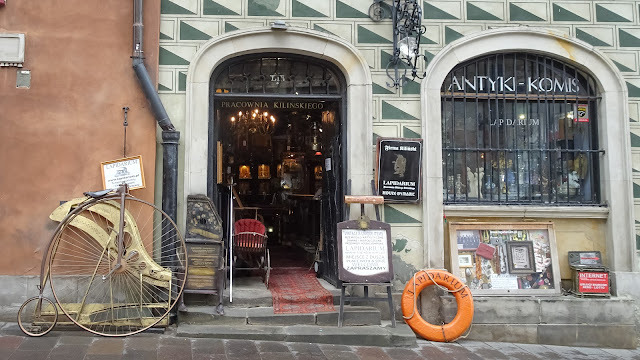 Especially the Building of Culture/Science is what i liked, maybe because it remembers me to some movie or anything. 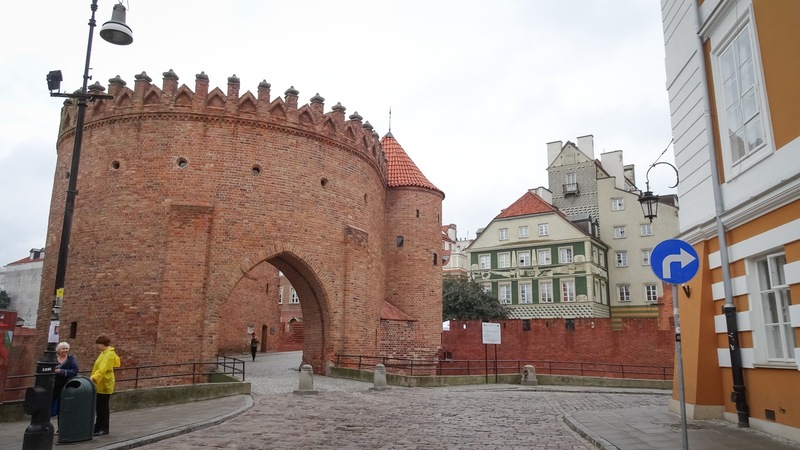 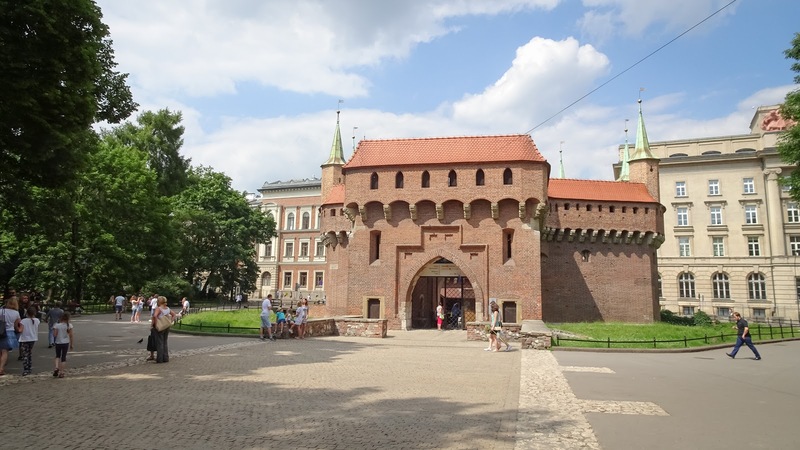 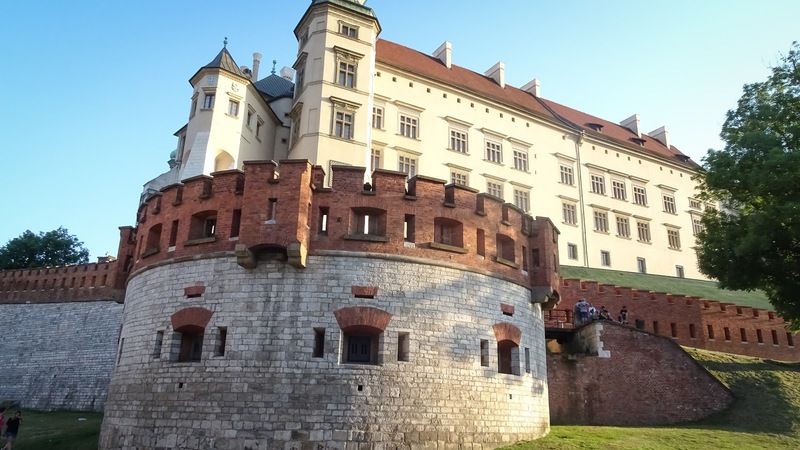 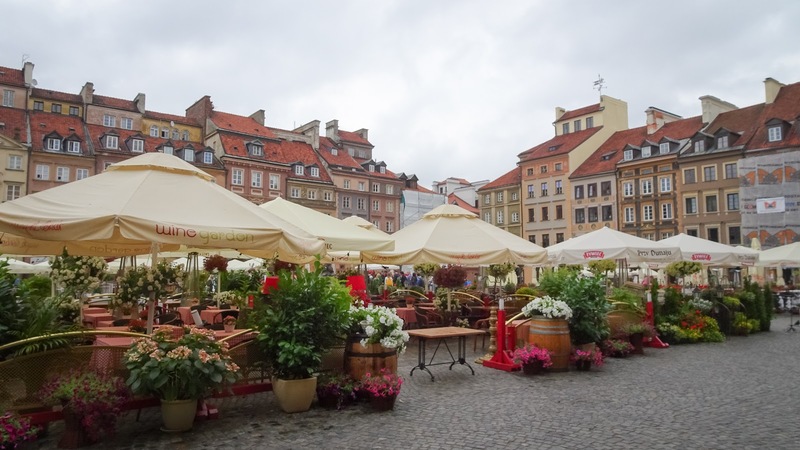 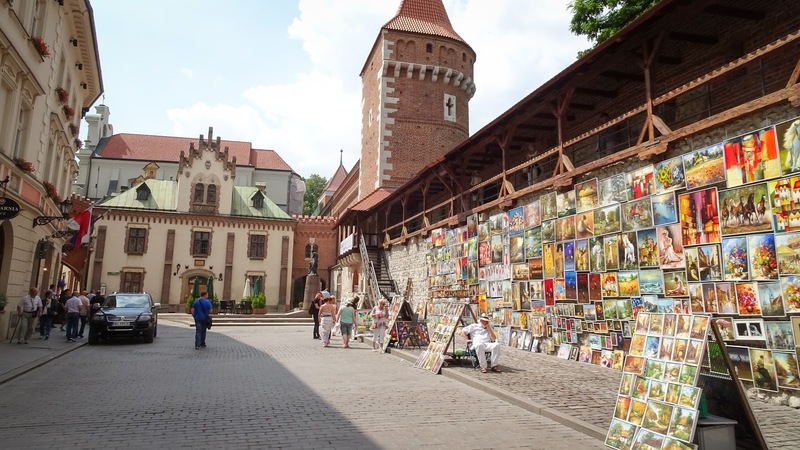 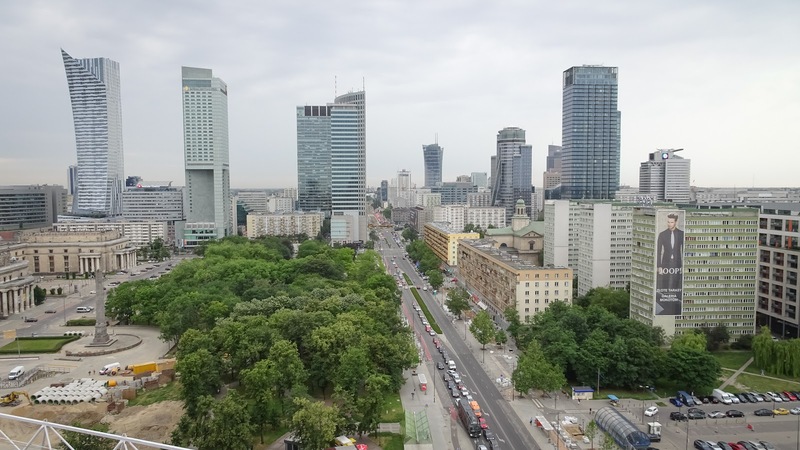 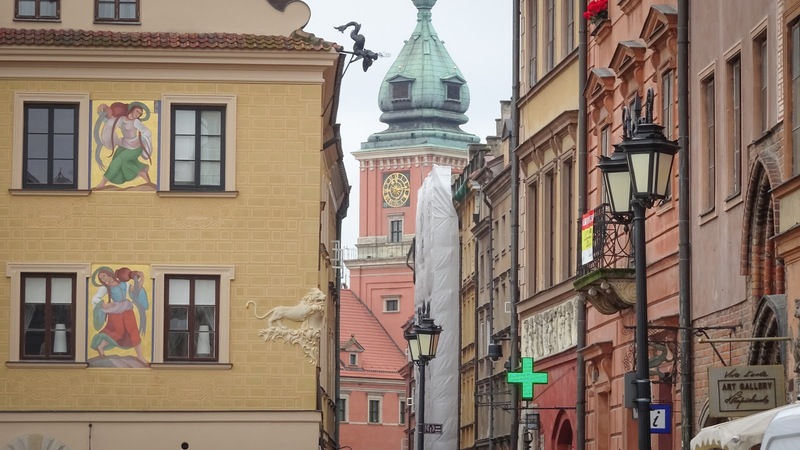 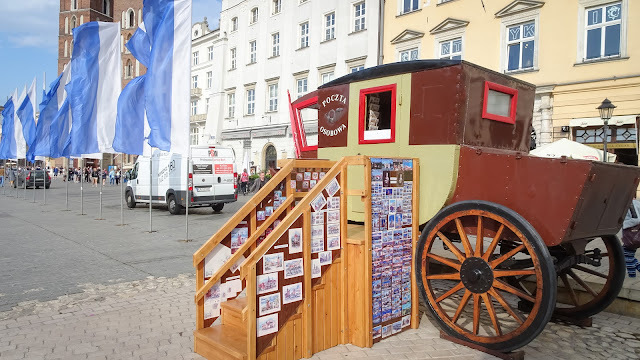 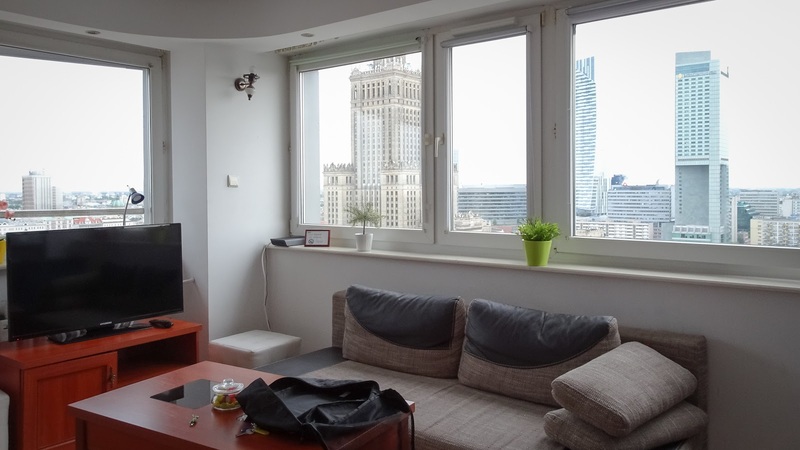 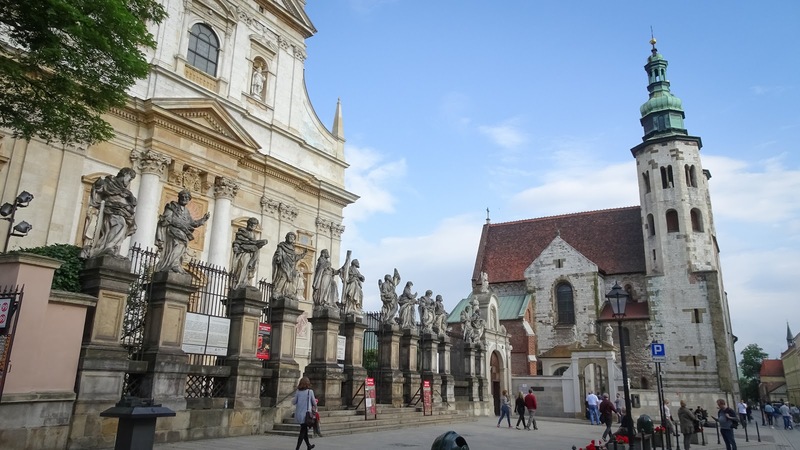 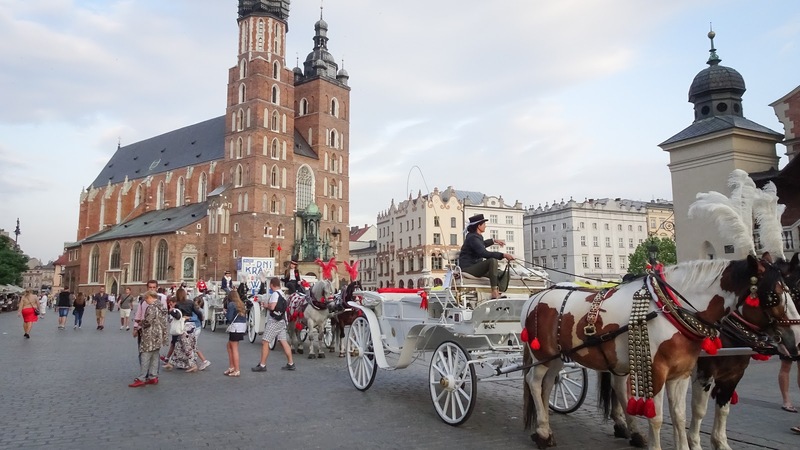 Surely Warsaw and Krakow are worth to spend each place at least two days. 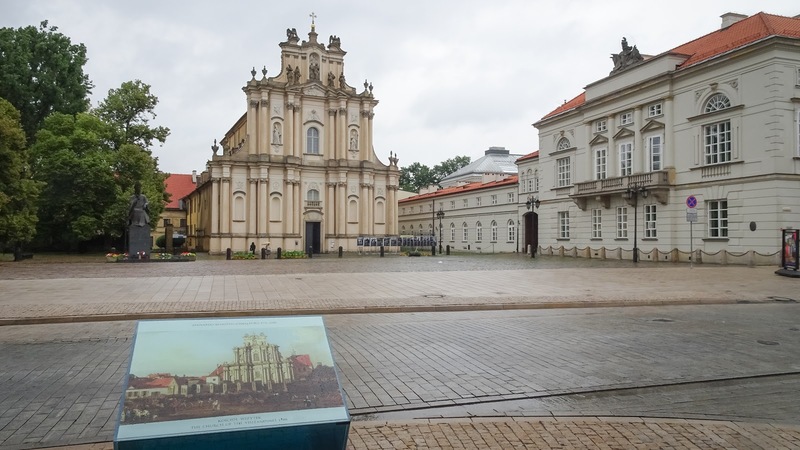 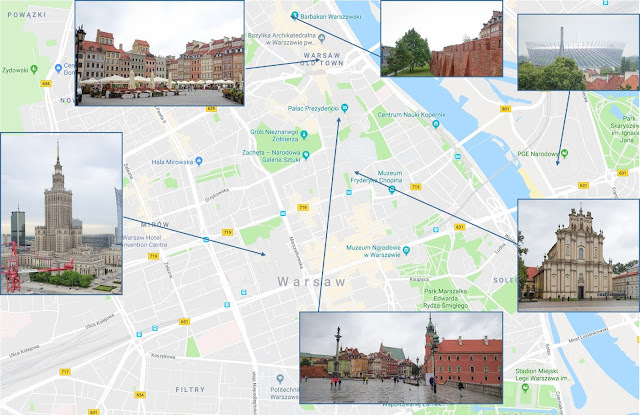 My weekend plan as following, with one day in Warsaw and two days in Krakow. Map with sights to see while in Warsaw, with just small amount of time. Nice tower (the one on the right) - its the Palace of Culture. 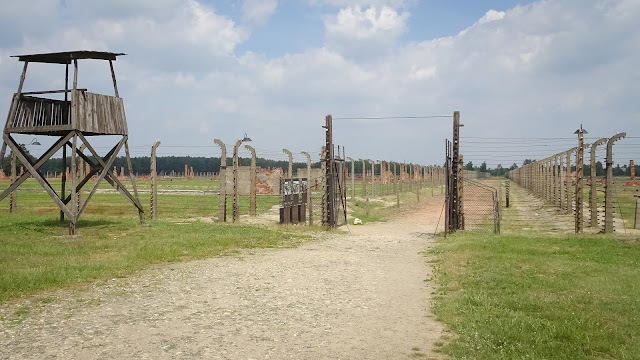 First view when coming up from underground from the airport. 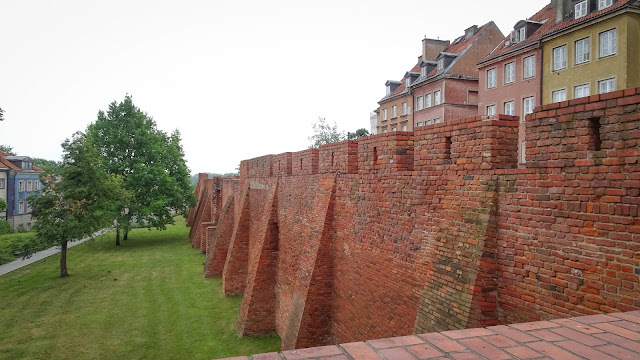 View from the window of the airbnb apartment. 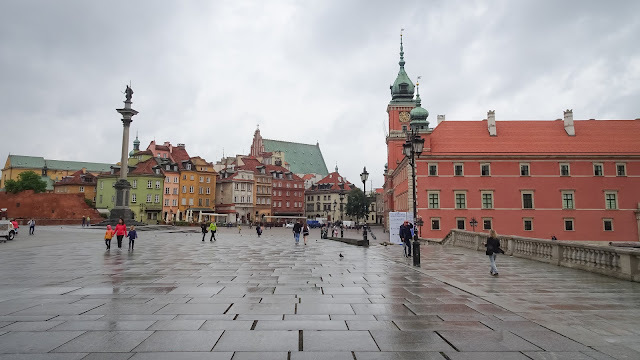 One of those buildings is the Google Tower in Warsaw. Airbnb Apt with best city view I ever had. 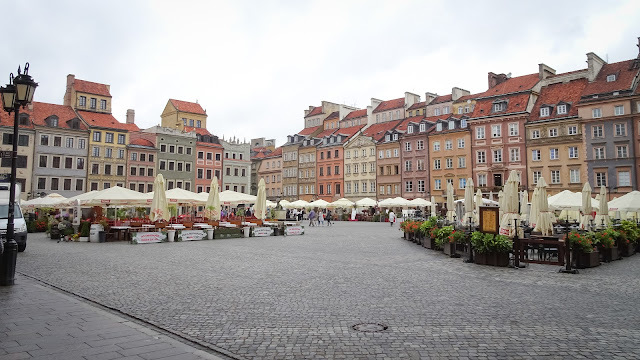 Having a short stroll towards Warsaw old town. 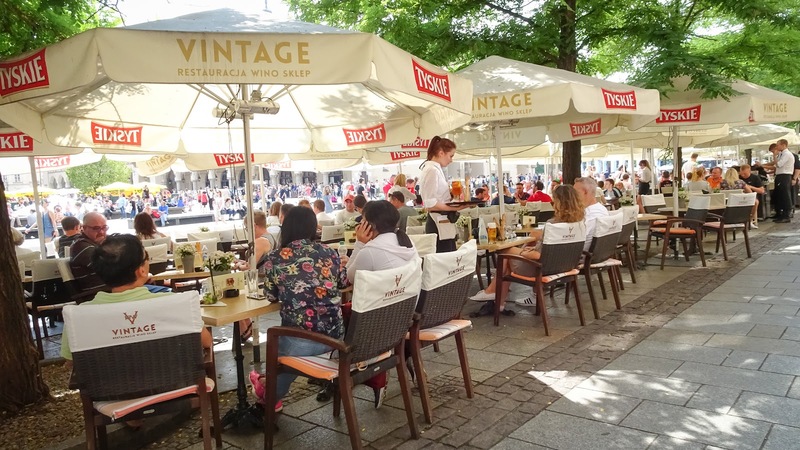 Warsaw old town has nice restaurants and if the weather is better than today, it must be comfortable drinking coffee here. In the old town of Warsaw. 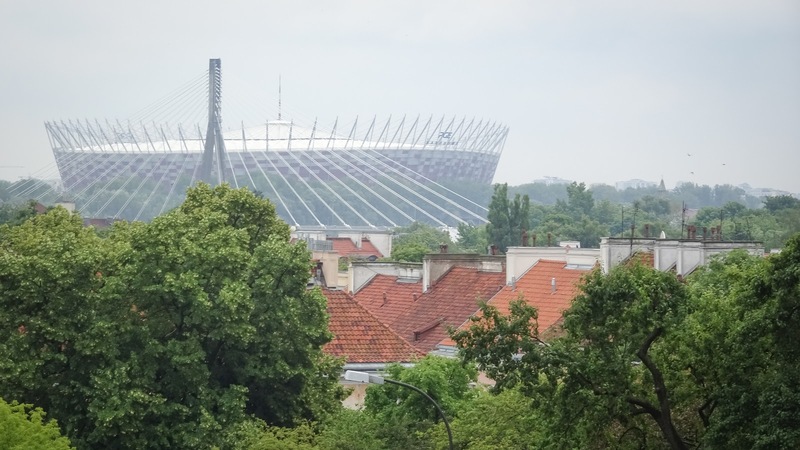 The soccer stadium, visible from the old town. Called Barbican. 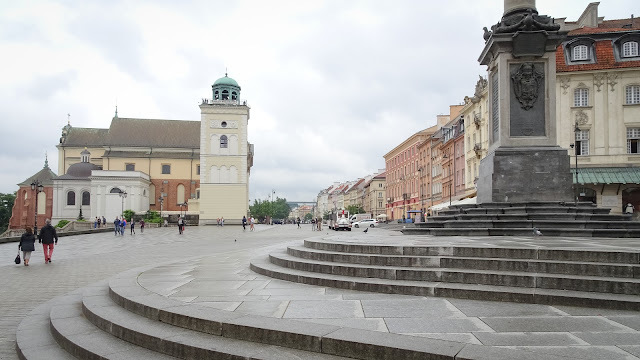 Its a remaining relict that once encircled Warsaw. 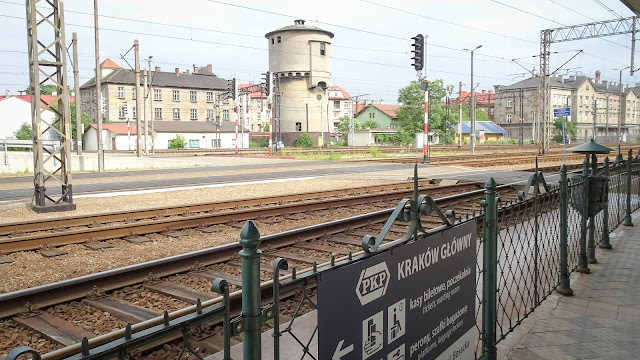 Came with the train to Krakow and it was a pleasant, comfortable ride. Lucky me having the apartment just a minute walk from the train station, so no hassle the next day for the Auschwitz bus in the early morning. 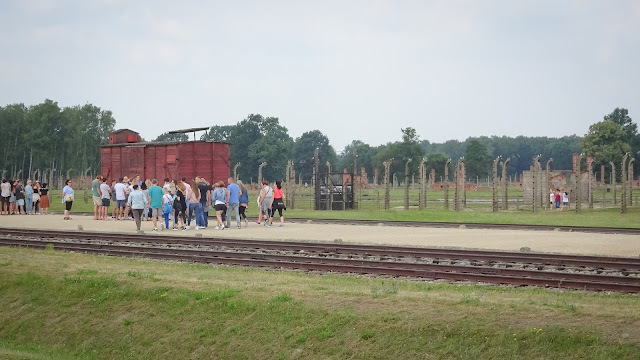 On saturday morning I took the early morning bus to Auschwitz, but when arriving it seemed that I didnt took the most early bus as there was already a huge queue waiting to enter. Also had to wait this queue for two times, cause first time my bag didnt fit their allowed baggage size - they only allow very small handbags (yes, really small, like a bag in size of a hand) to bring inside. 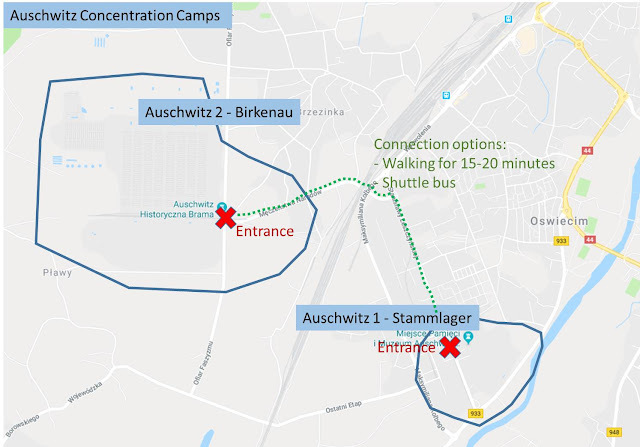 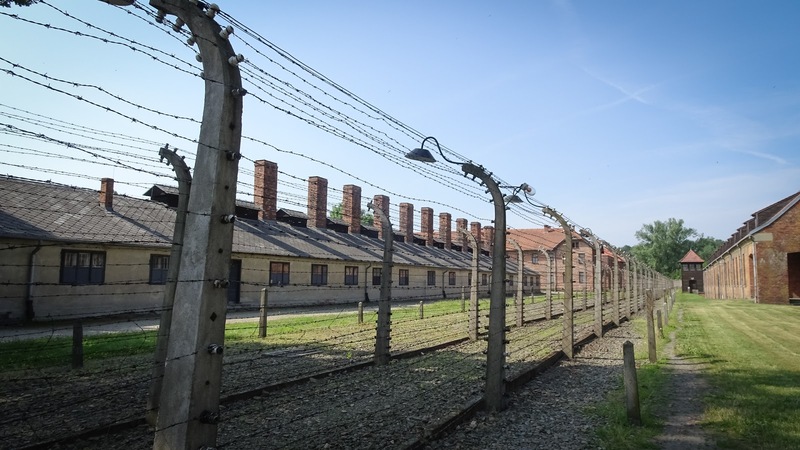 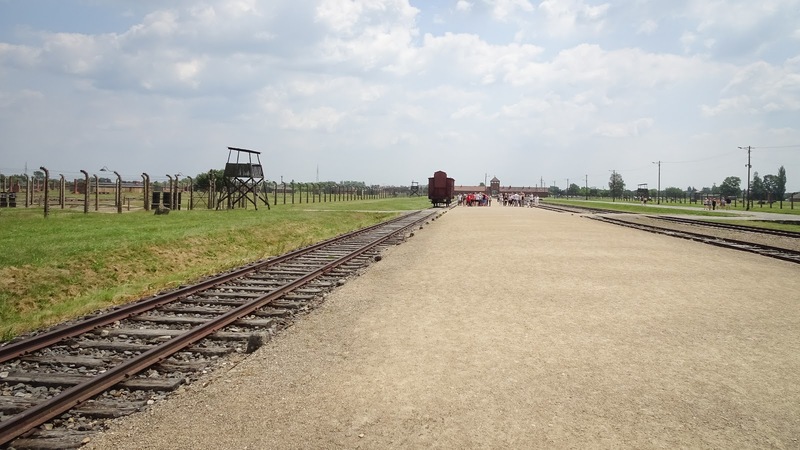 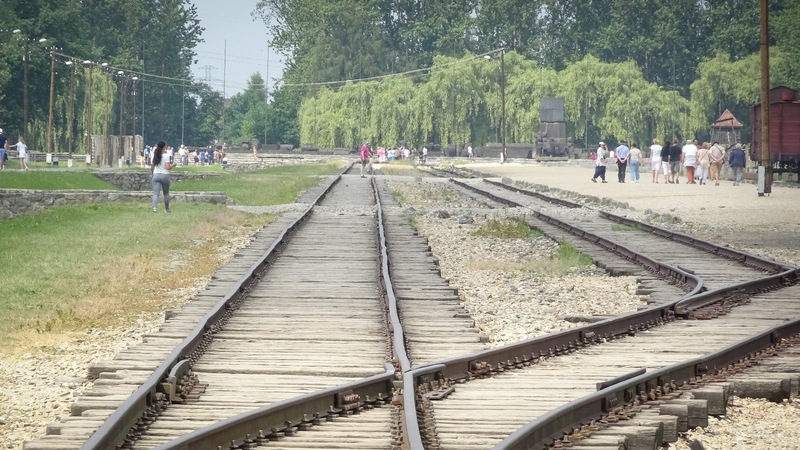 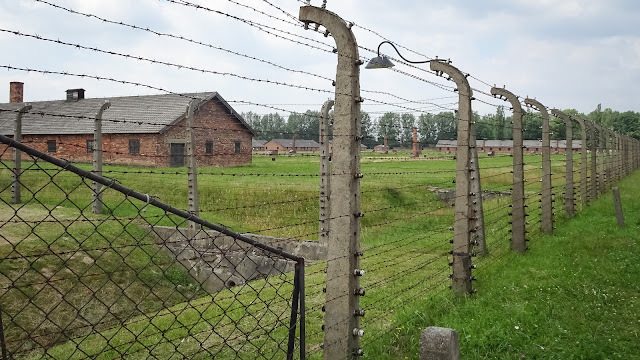 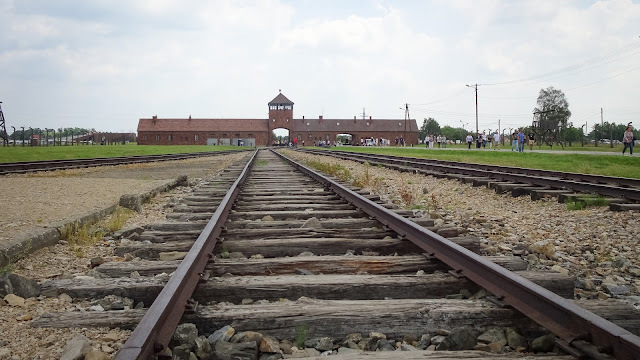 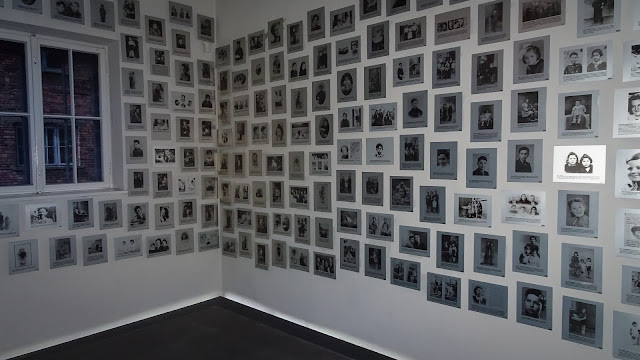 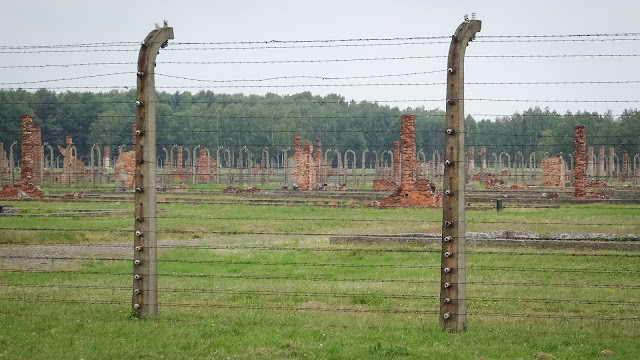 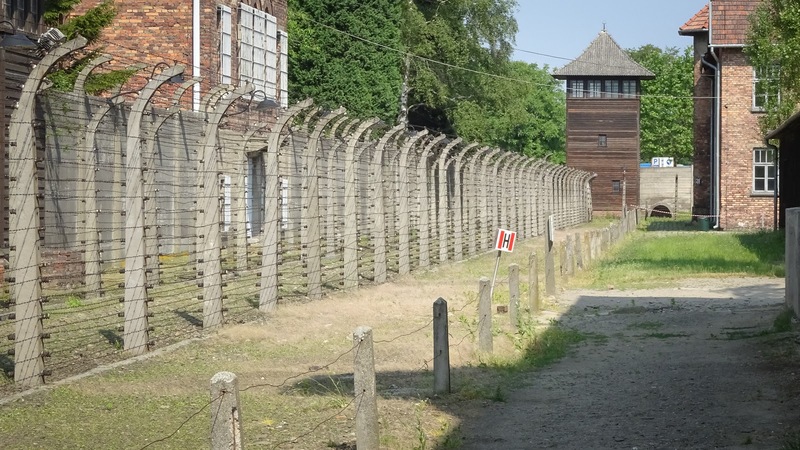 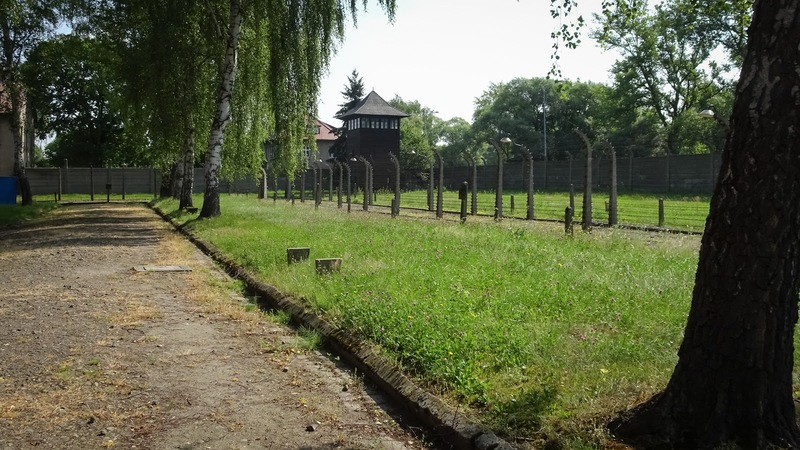 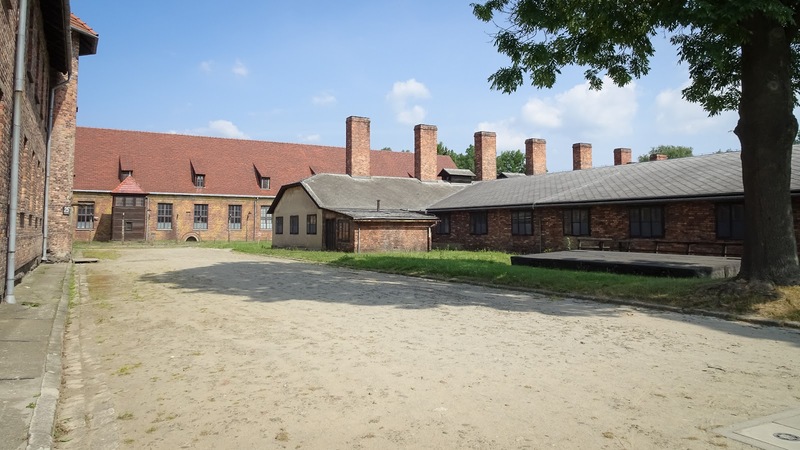 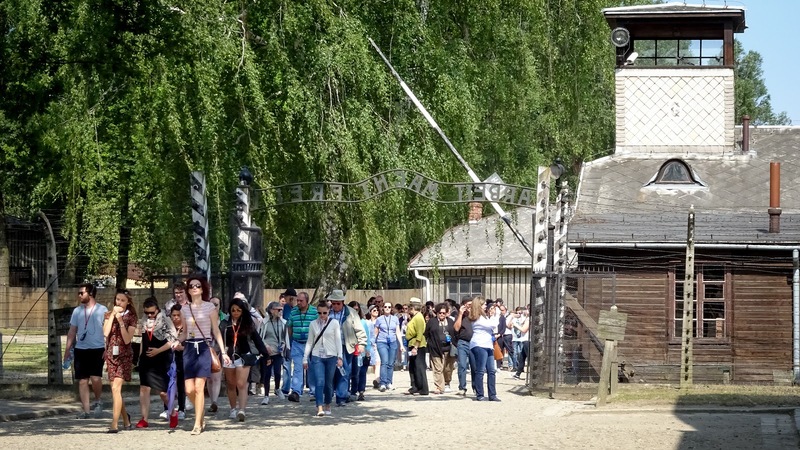 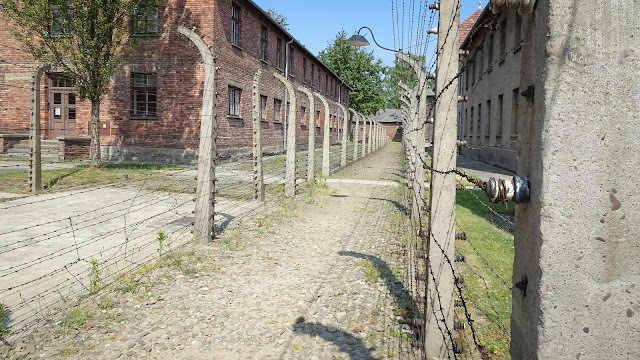 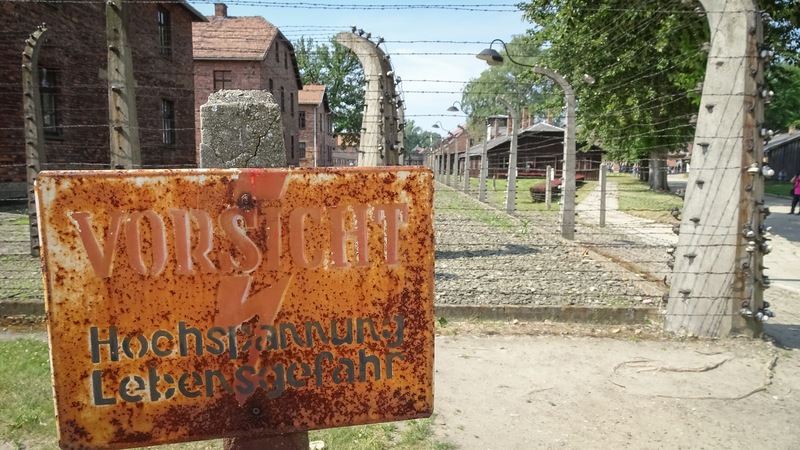 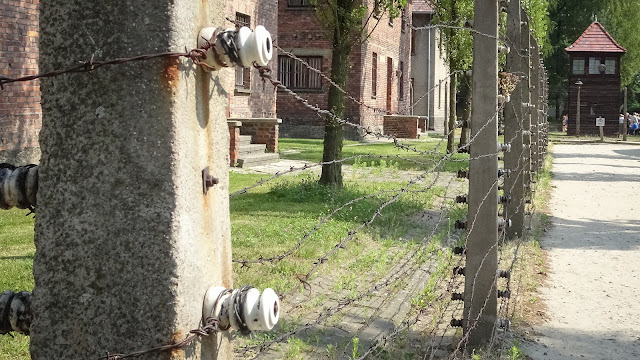 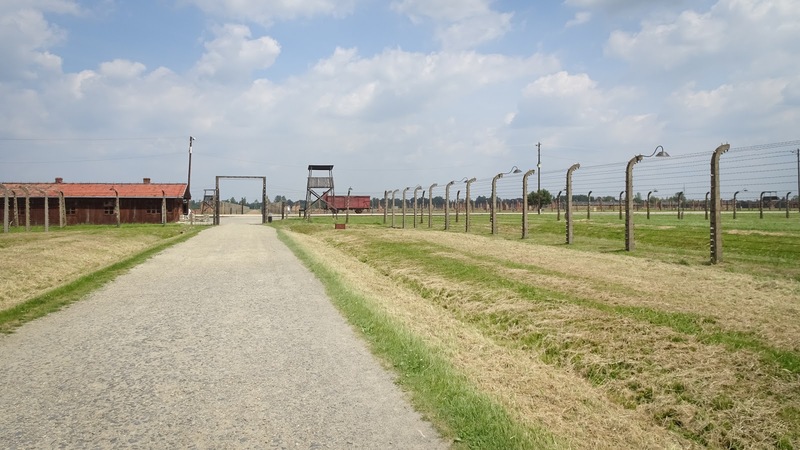 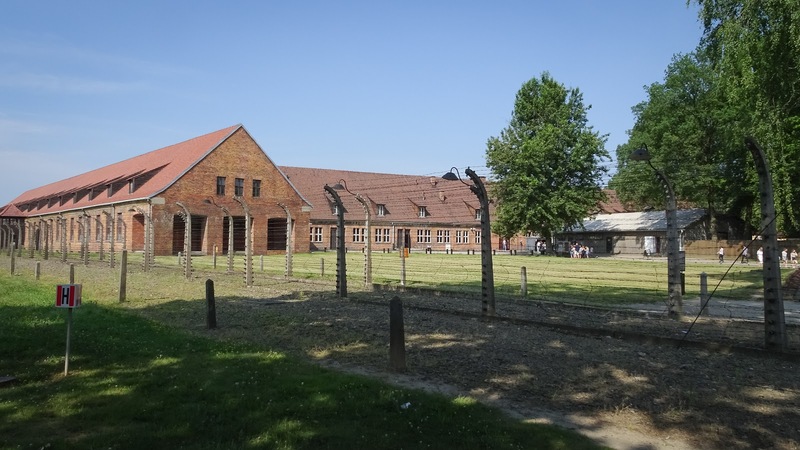 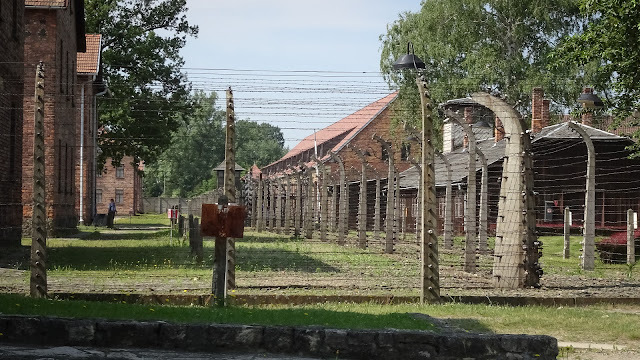 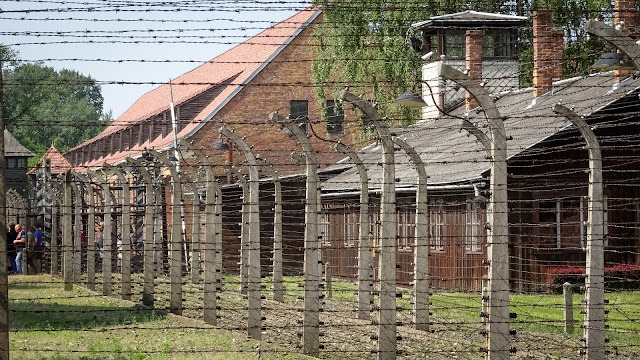 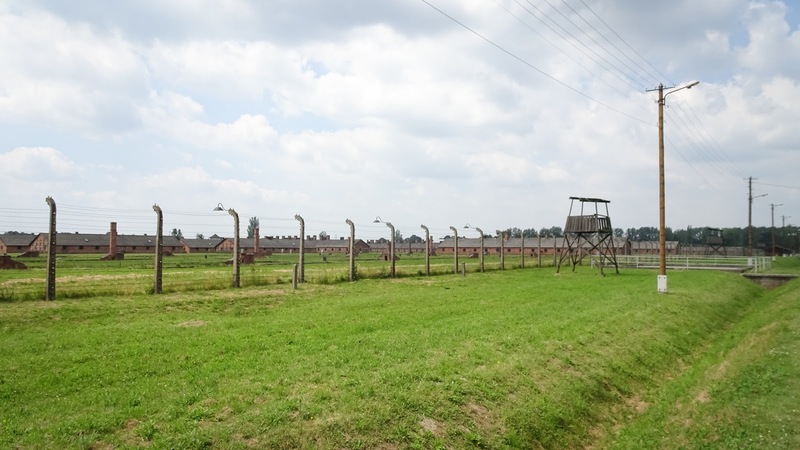 The different Auschwitz concentration camps are sepparated and the two biggest, Auschwitz I and II are connected by shuttle bus or a 20 minutes walk. 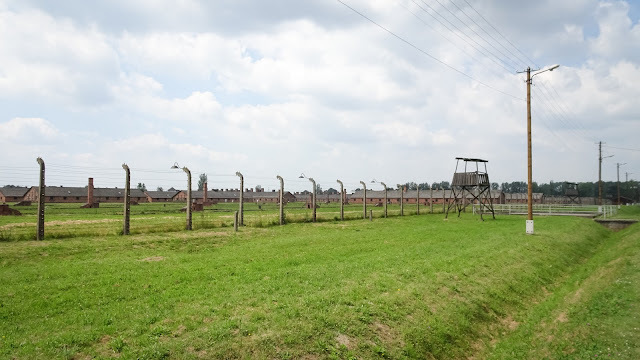 The whole Auschwitz concentration camp areas had a size of enormous 40x40 squarekilometers of killing facilities. 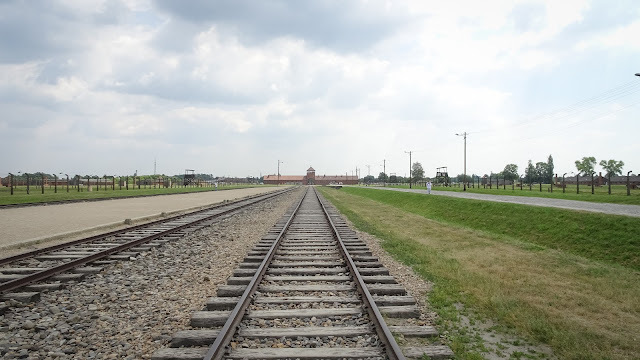 How to get from Auschwitz 1 (Stammlager) to Auschwitz 2 (Birkenau)? 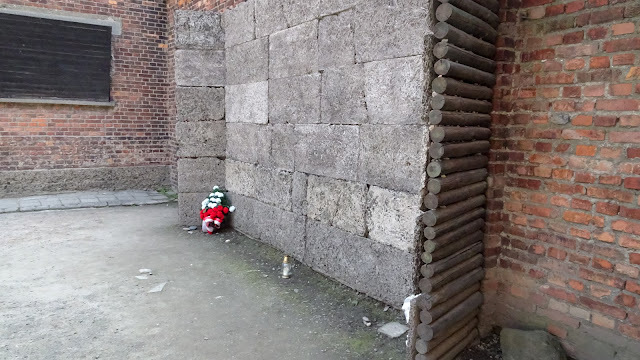 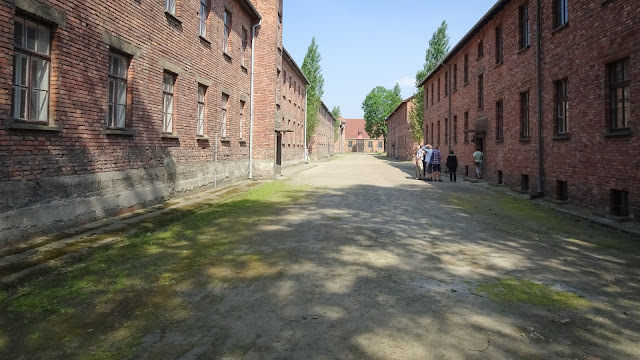 First I was visiting Auschwitz I (Stammlager). 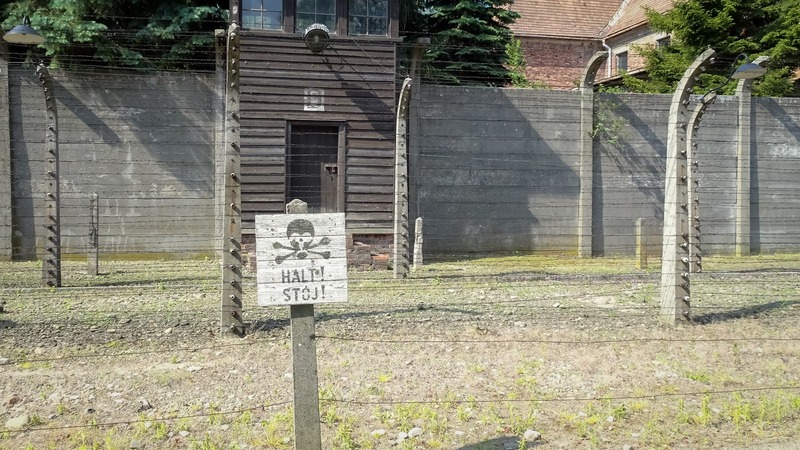 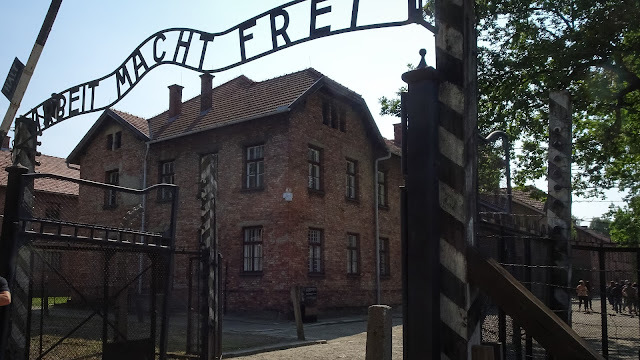 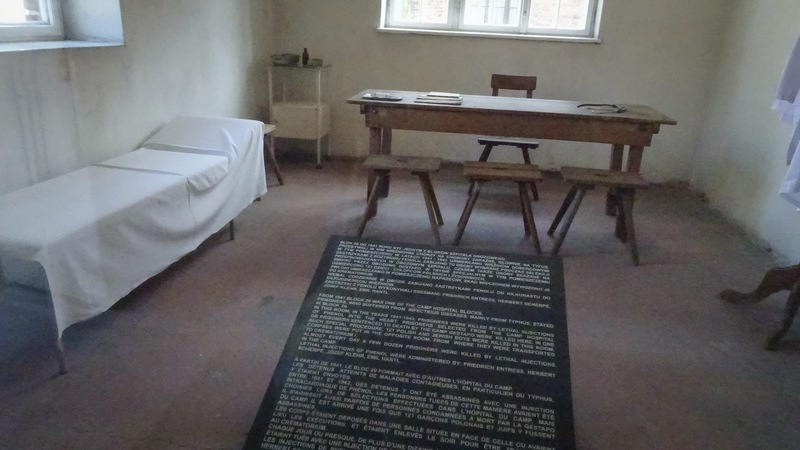 Auschwitz I was first constructed to hold Polish prisoners, who began to arrive in May 1940. 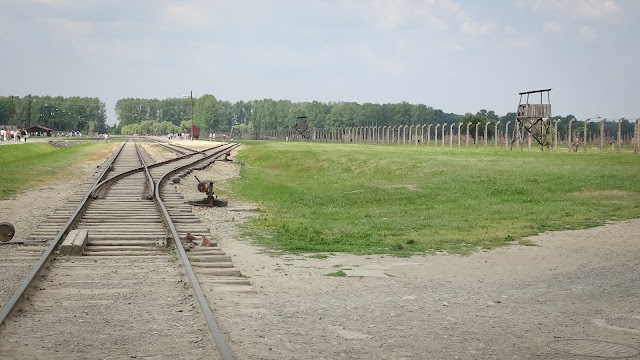 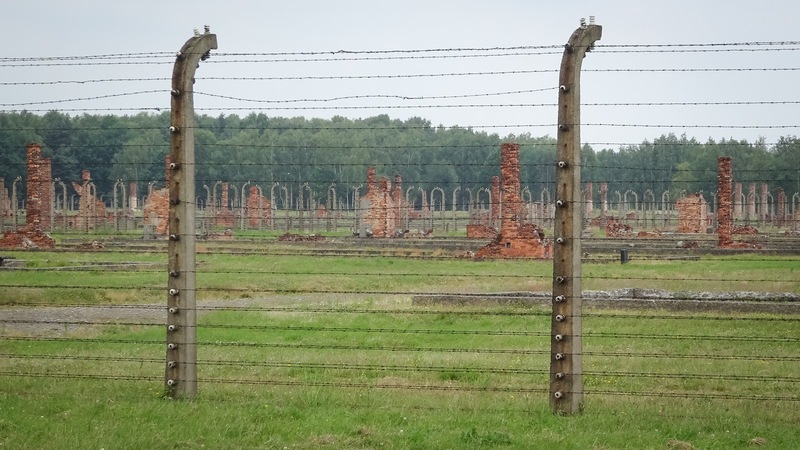 Later Auschwitz II–Birkenau went on to become a major site of the Nazis to kill prisoners. Auschwitz I became the administrative center for the whole complex. As Soviet troops approached Auschwitz in January 1945, most of its population was sent west on a death march. The prisoners remaining at the camp were liberated in 1945. 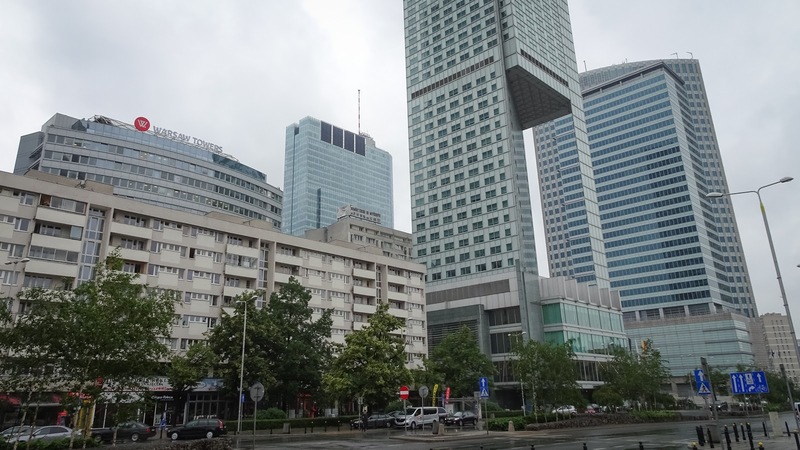 Walking around these buildings is a strange feeling. Somehow its quietness nowadays feels like a relaxing place, but of course, when imagining what was happening here during WWII, it causes goosebumps. 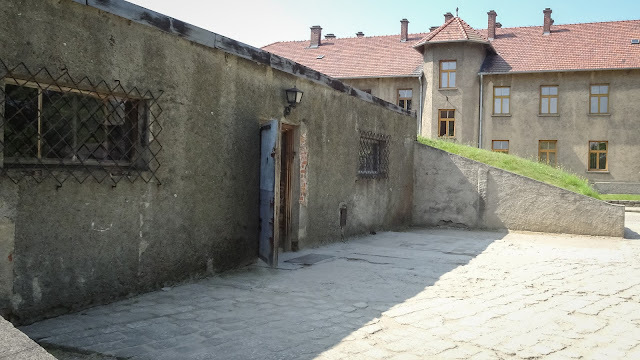 From outside the buildings look all a bit the same, but inside, each had a different purpose. 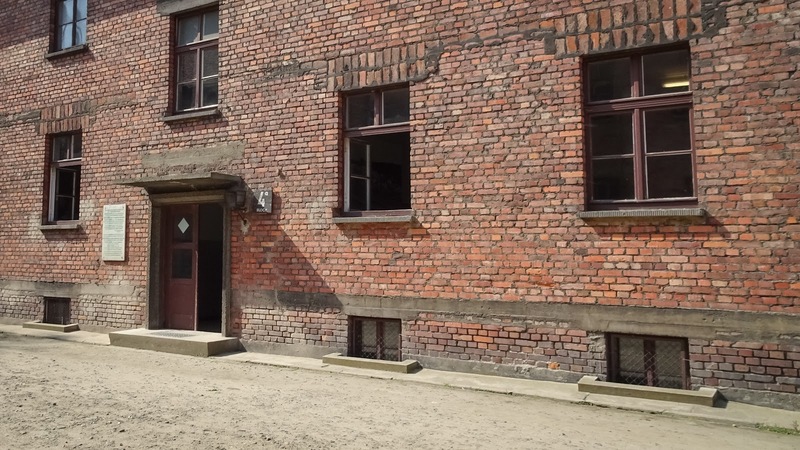 People with flu were brought here and the doctors gave them some medicine, from which they didnt wake up. 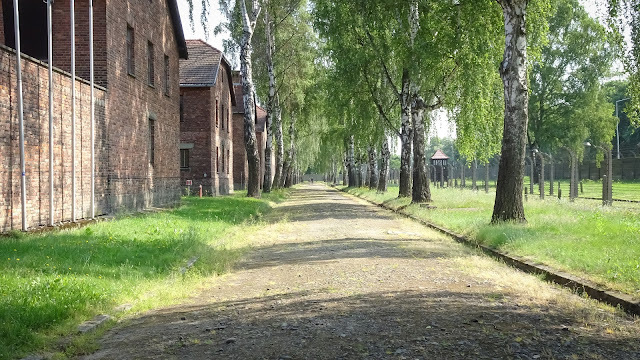 View towards entrance gate from inside the camp. 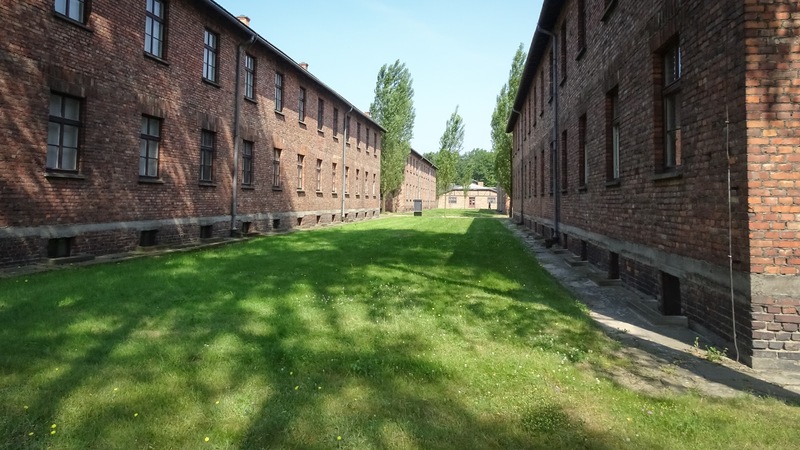 Thats probably how it looked when new prisoners came. After visiting Auschwitz I, there was shuttle that drives to Auschwitz II Birkenau. Auschwitz II is the real horror camp. This was the real mass destruction camp. The area is huge, really huge. 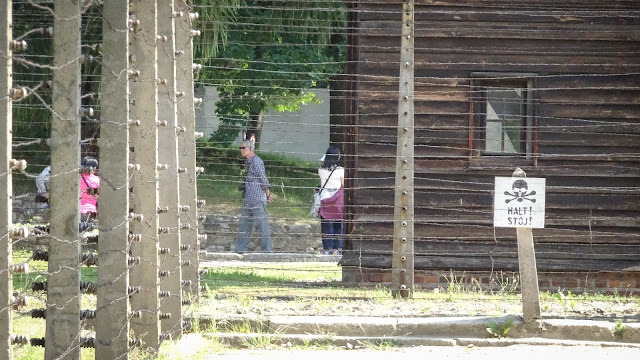 When walking around the area its not possible to see the other end of the camp, its that big. 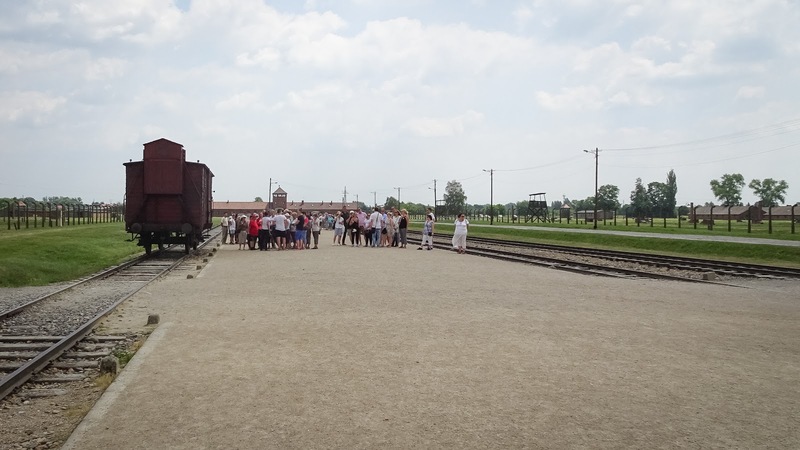 The only thing I didnt think about was sunscreen. 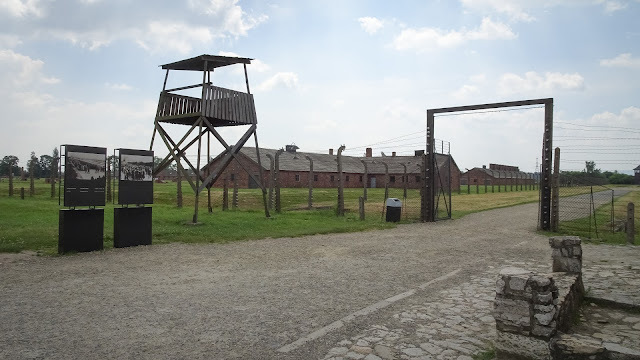 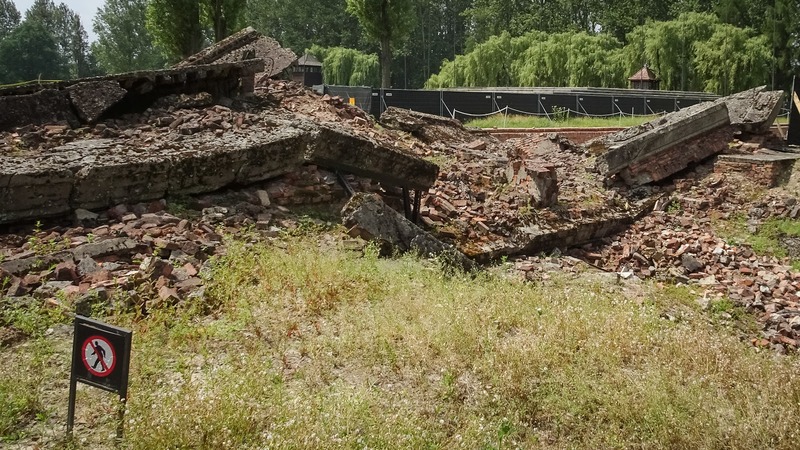 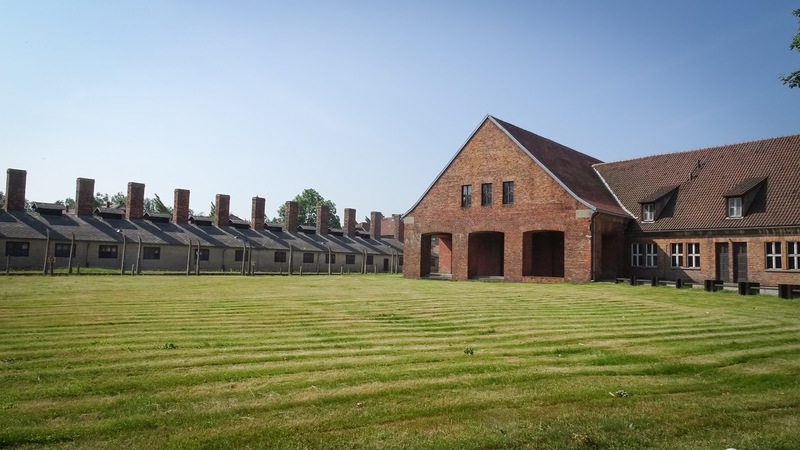 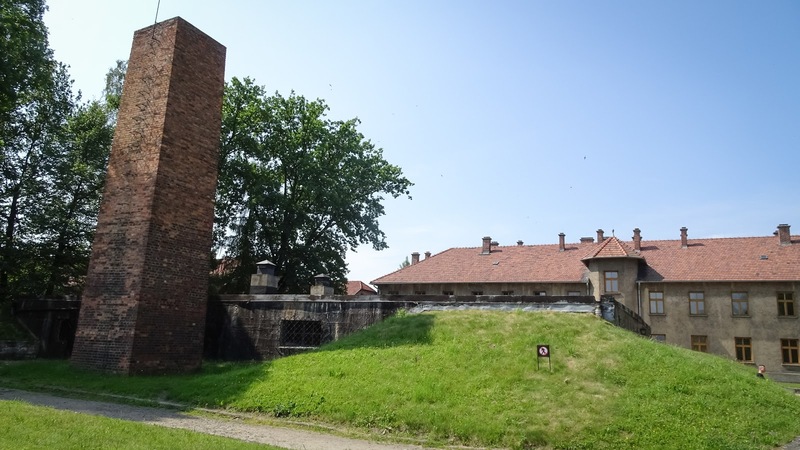 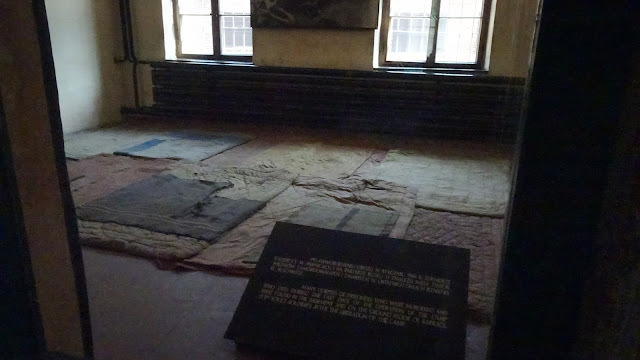 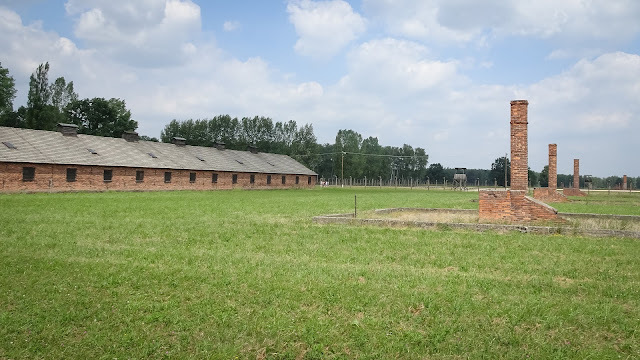 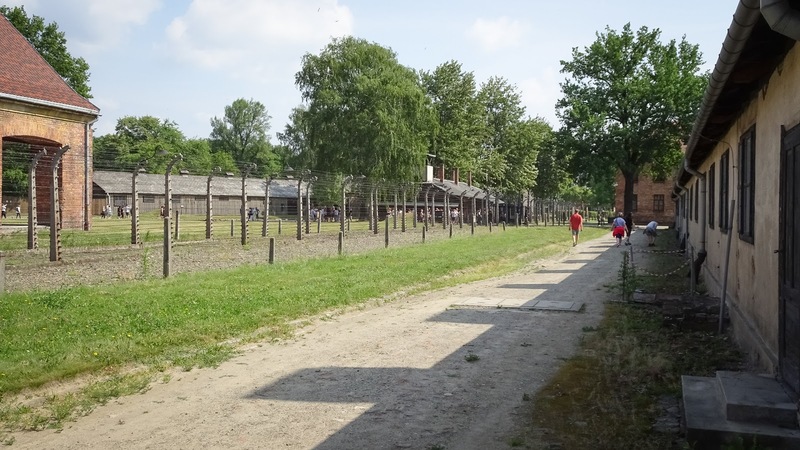 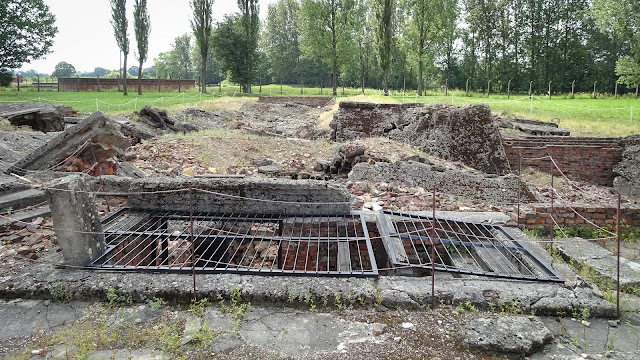 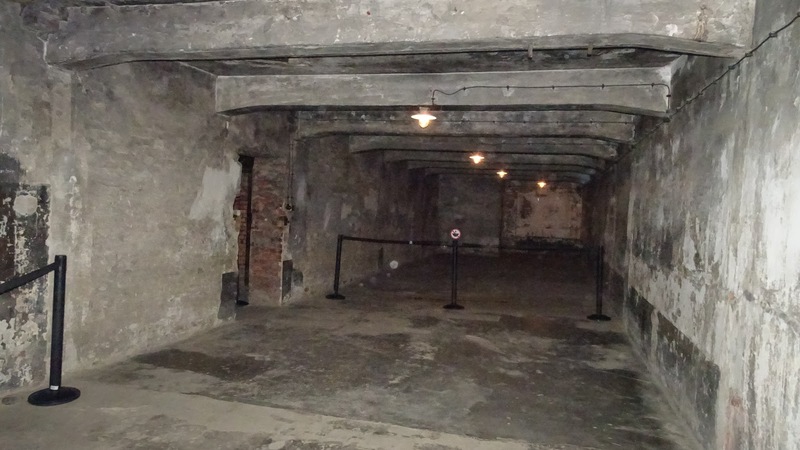 The open area was completely without shade and even the sun wasnt that present, I wasnt able to spend so much time as I planned to visit in Auschwitz II. View from outside of the camp. On these rails the prisoners had their last train ride. 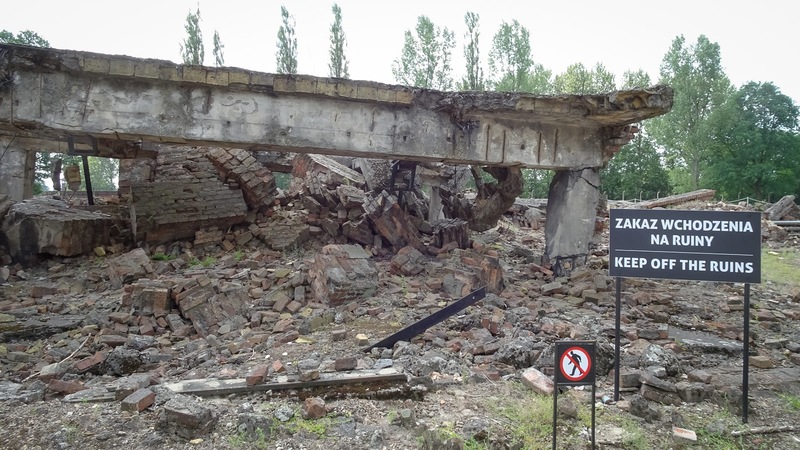 When german soldiers took them from their homes, they told them they are bringing them to a save area. 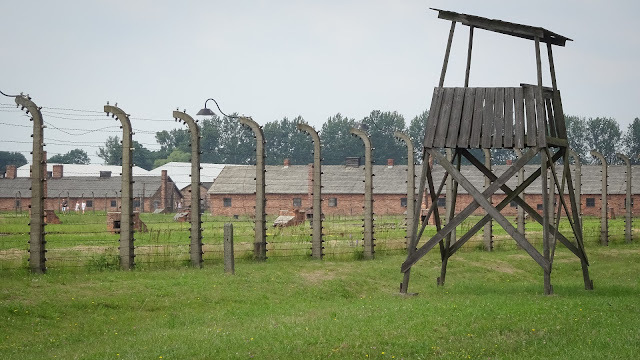 They were told to bring everything of value with them. Thats how most people went with the soldiers. 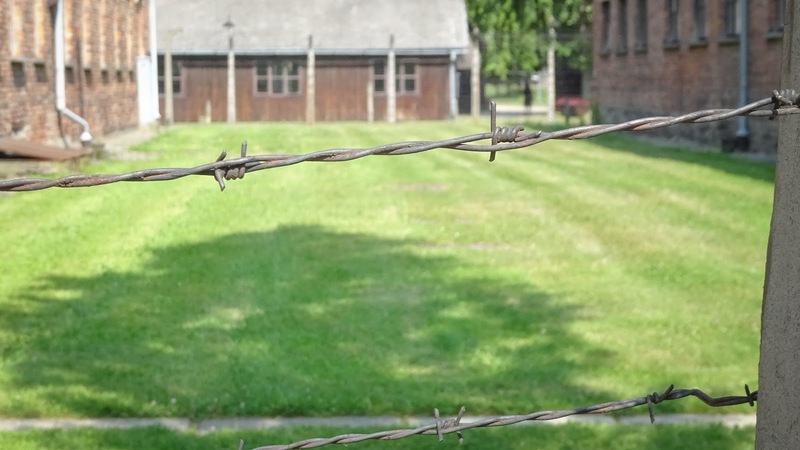 The next morning they woke up behind barb wire. 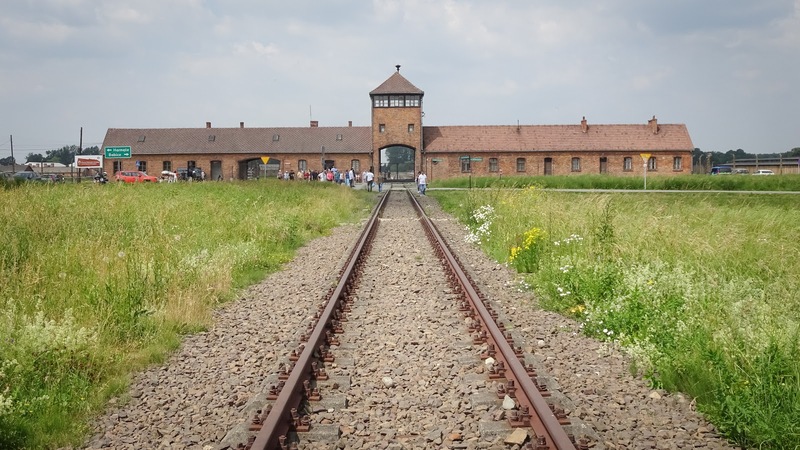 Between 1940 and 1945 the Nazis sent about 1.3 million people to Auschwitz, whereas 1.1 million died or were killed in Auschwitz. 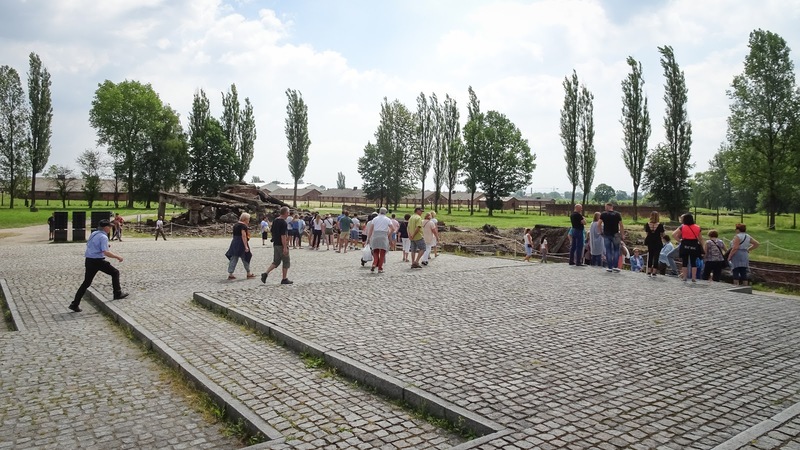 Vie from outside towards Auschwitz 2 Birkenau entrance door. 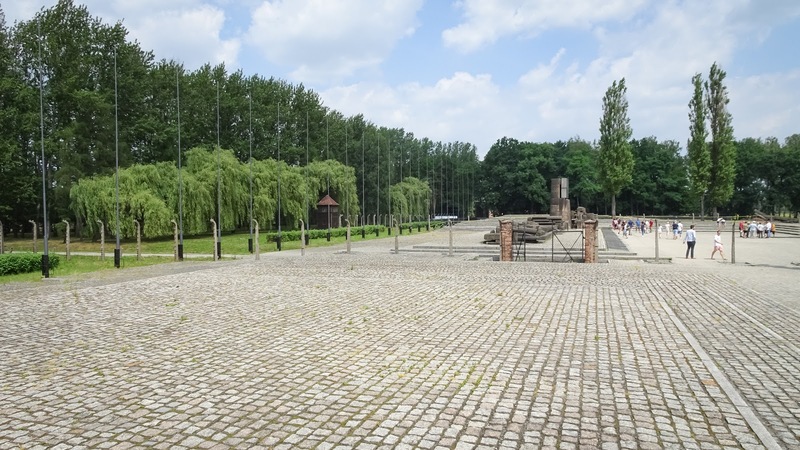 View after entering the camp. 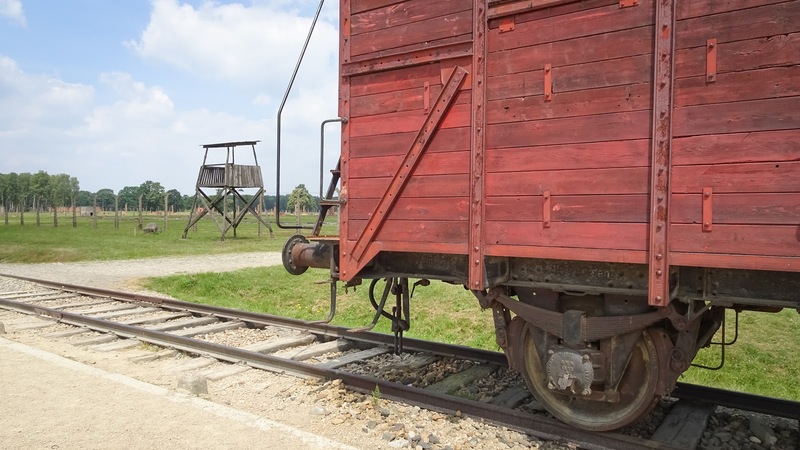 With such a wagon, the prisoners arrived for settling in their last neighborhood. One of the exploded gas chamber. Before leaving the camps at the end of the war, germans wanted to get rid of every evidence. 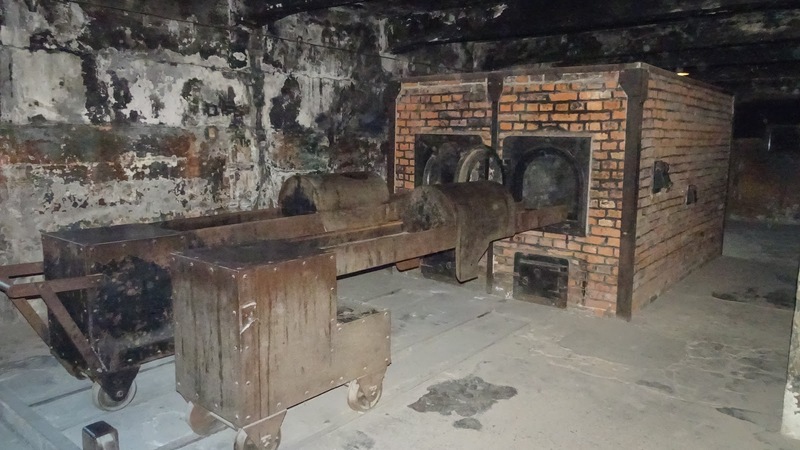 Further image of exploded gas chamber. 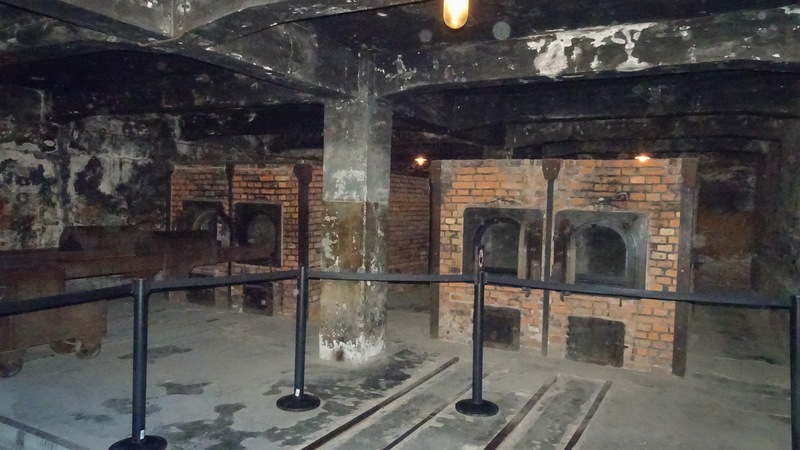 Another gas chamber. Intentionally blown up by the germans to get rid of evidence. 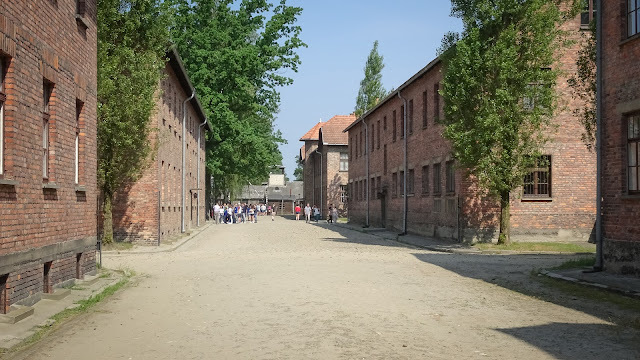 The area of Auschwitz is extermly large. 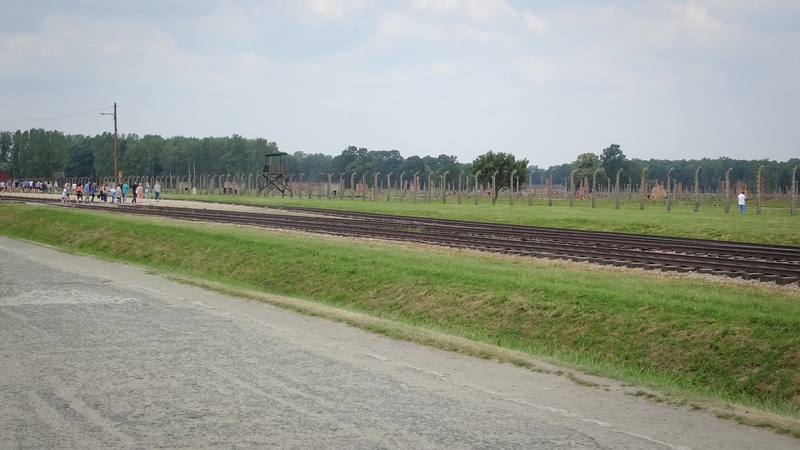 Difficult to estimate how many soccer fields it would cover. 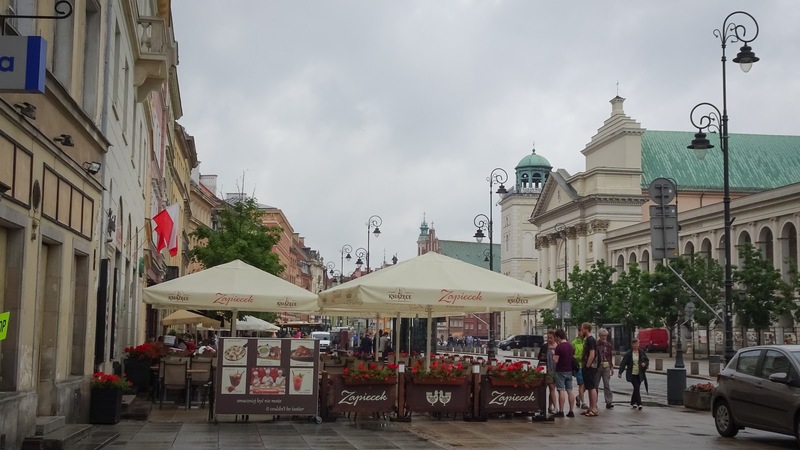 After returning to Krakow, I spent most time walking around the old town, which is indeed nice, compact and walking distances are kept to fair amount :) Especially after walking so much in Auschwitz. 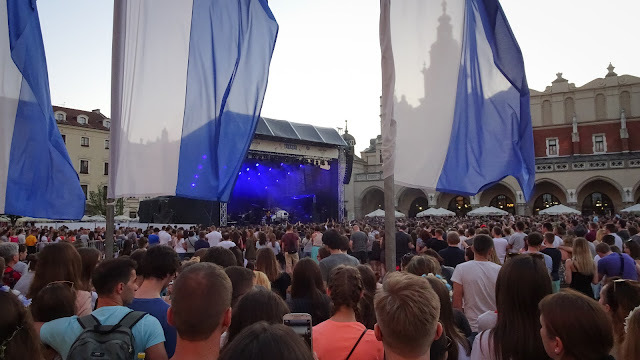 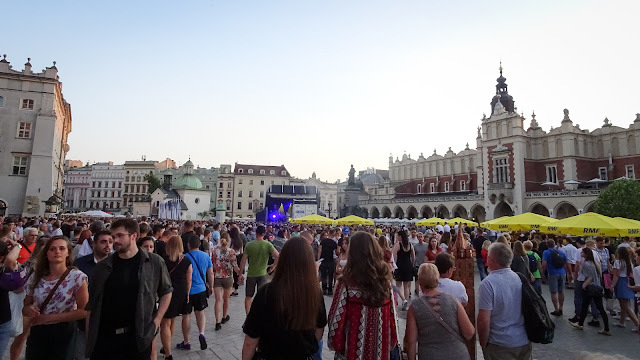 In the evening there was a fireworks and this free concert in old town, where famous polish performers were on stage.